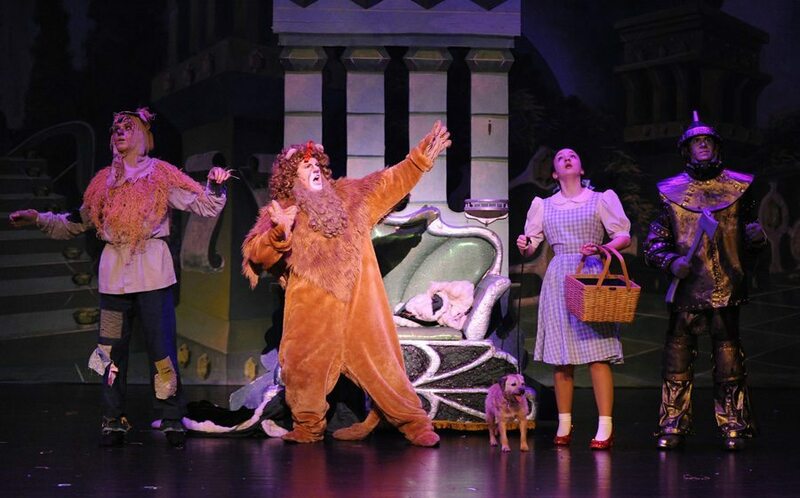 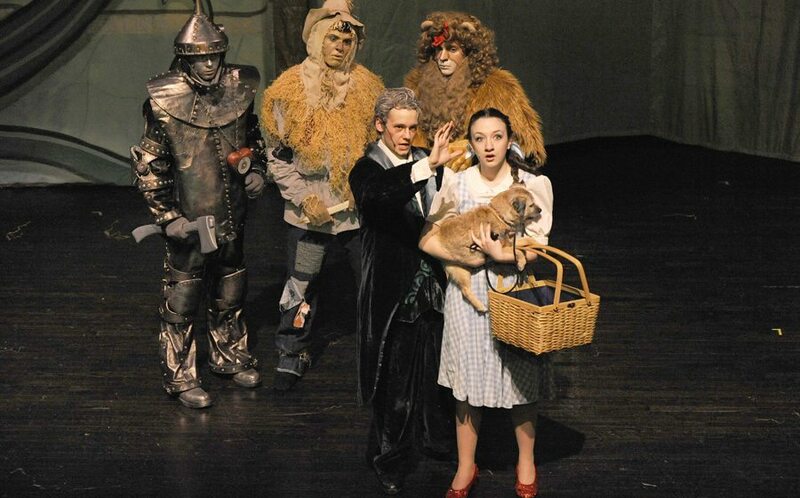 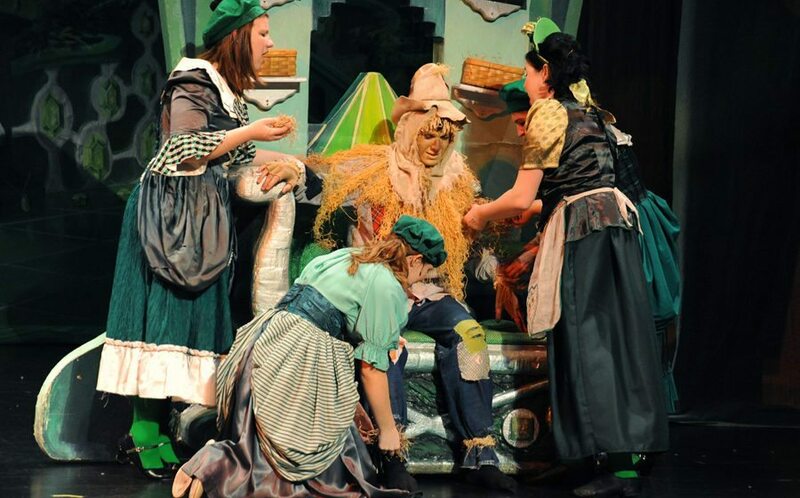 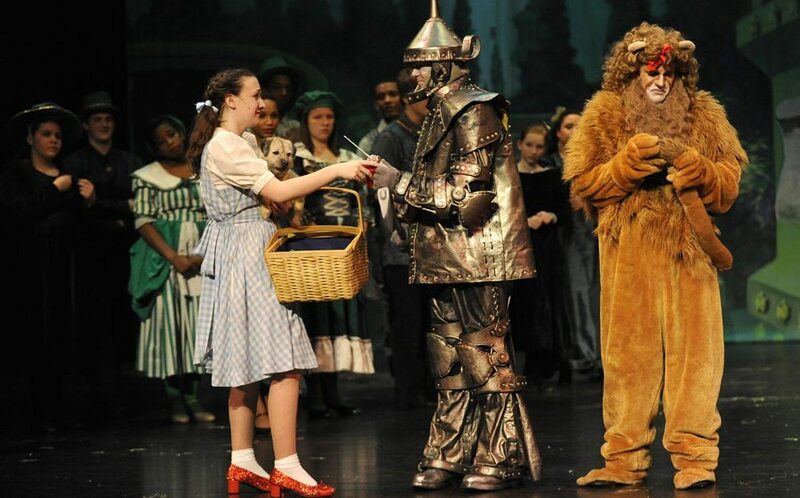 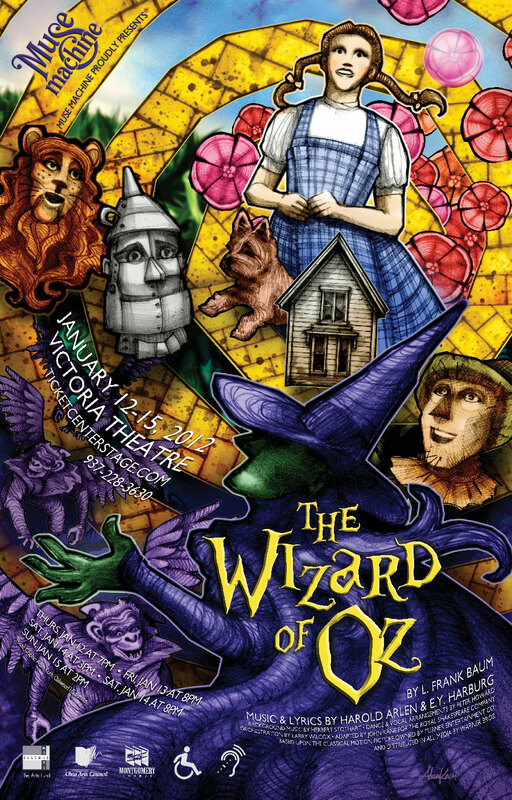 January 12-15, 2012 • Victoria Theatre - Staging The Wizard of Oz comes with a very specific set of expectations. 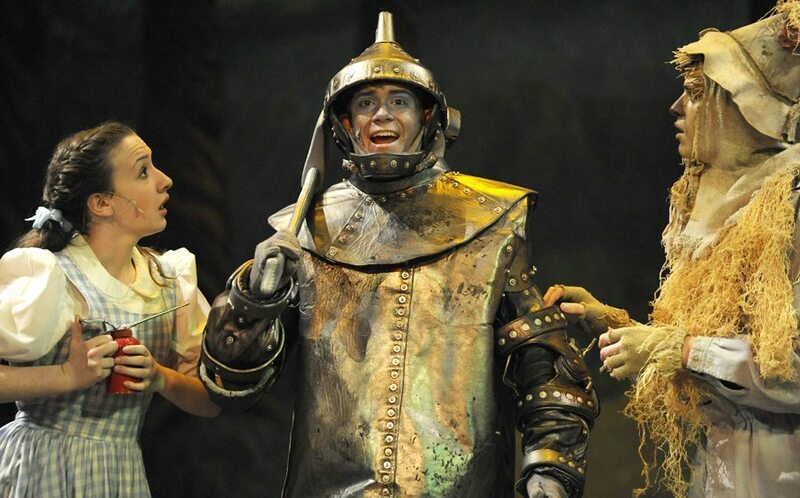 The widely-beloved film version looms large in our cultural memory, but to recreate the movie exactly would be to neglect Muse Machine’s knack for finding something fresh in each show it puts up, so while at times the show harkened back to the movie, it also moved in new directions. 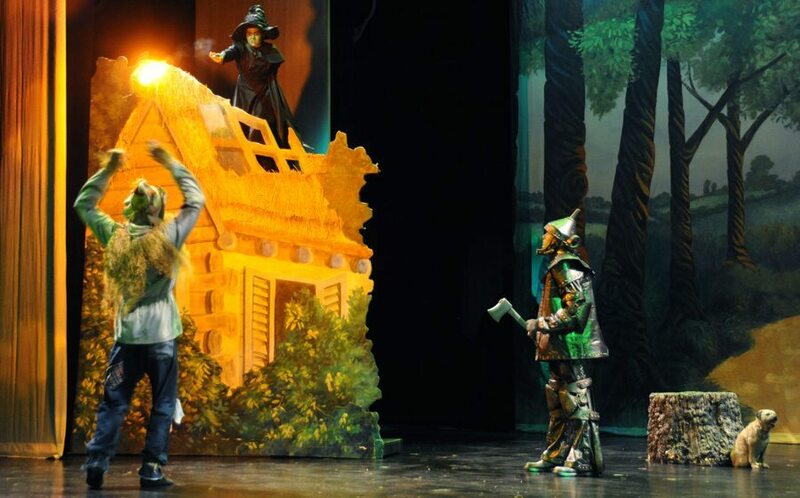 For the first time, a Muse show incorporated projections designed by Muse Alum David Sherman to bring the Wizard and the twister that carries Dorothy to Oz menacingly to life, introducing multimedia that would become an integral part of Muse summer concerts, in-school performances and musicals in years to come. 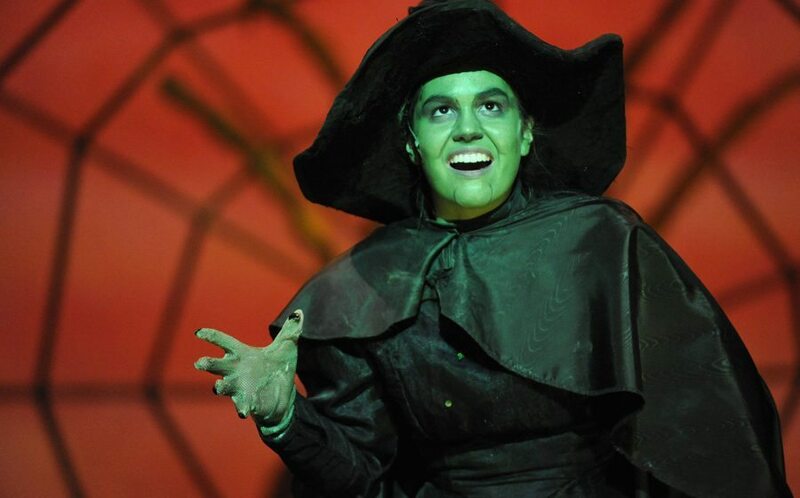 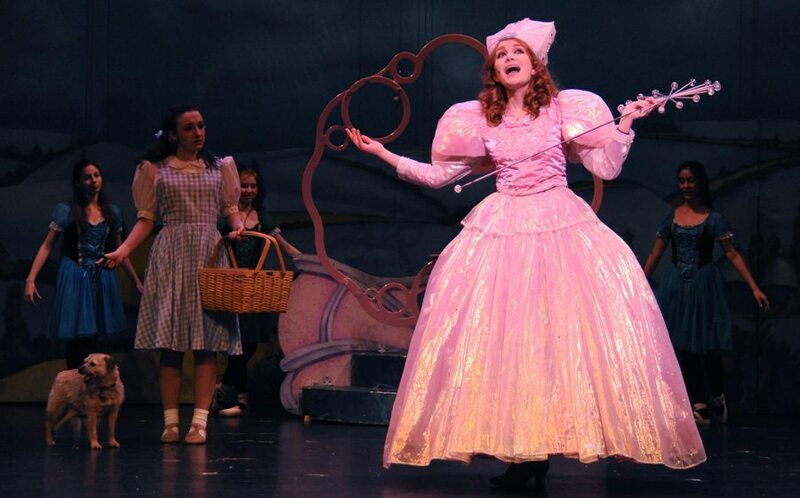 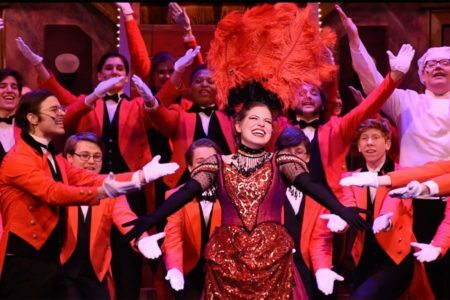 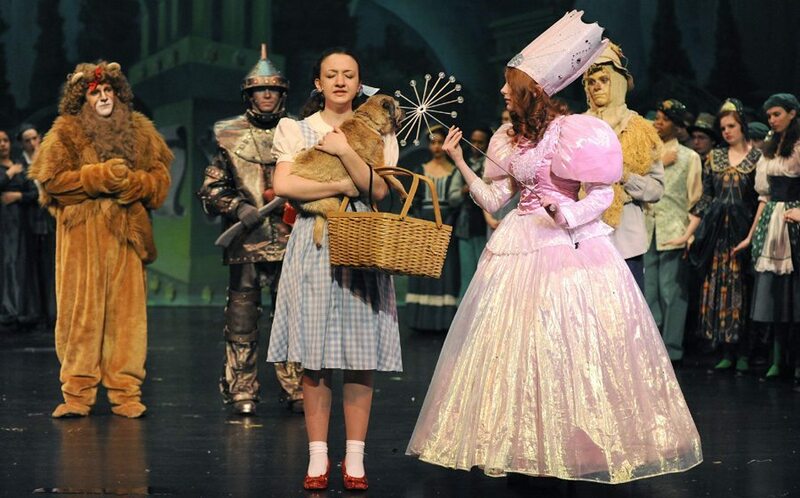 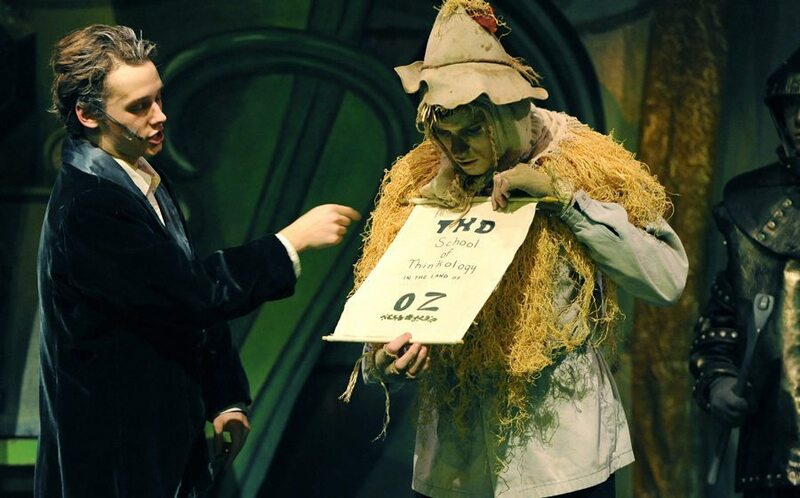 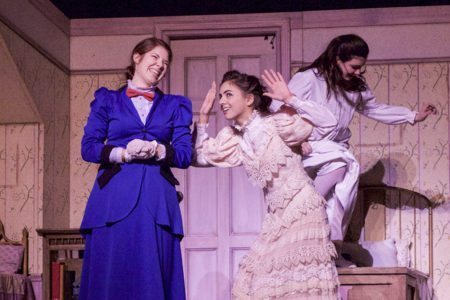 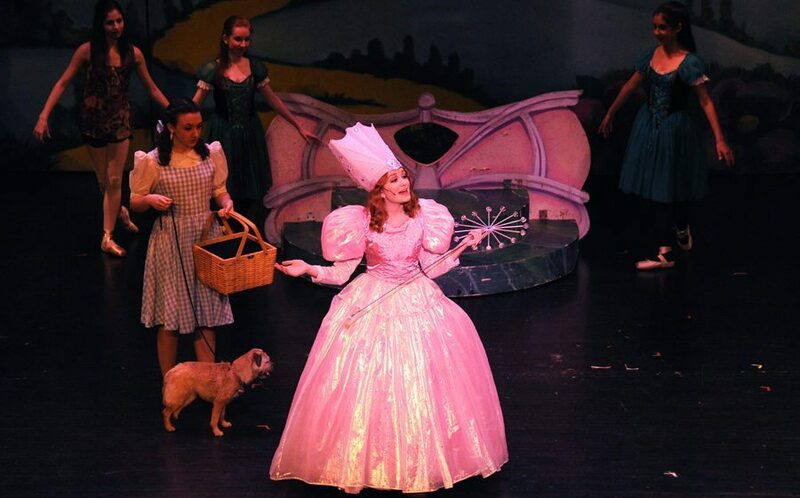 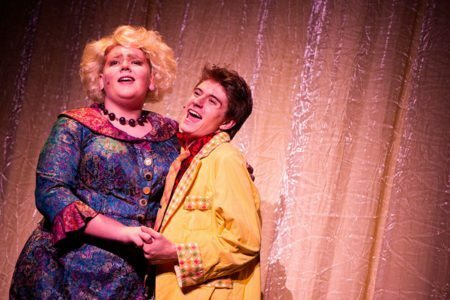 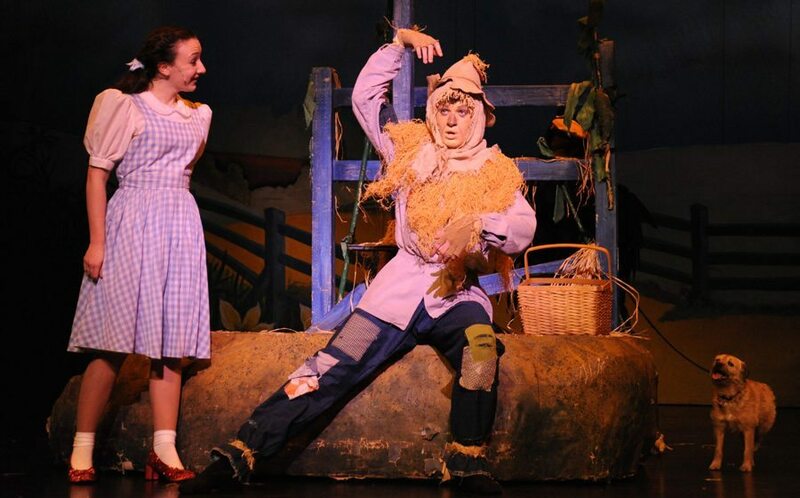 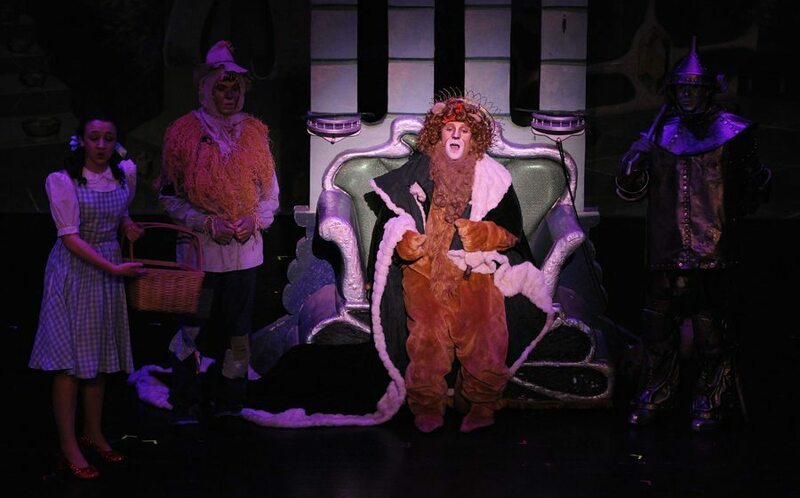 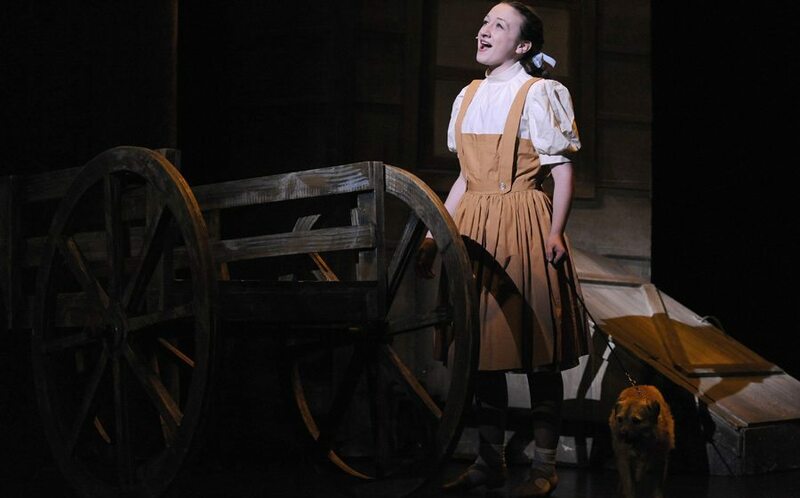 The technical aspects of the show in combination with a stunning rendition of Somewhere Over the Rainbow, a veritable legion of Munchkins and the exuberance of a Muse cast, Oz treated its audience to more than just a dose of nostalgia. 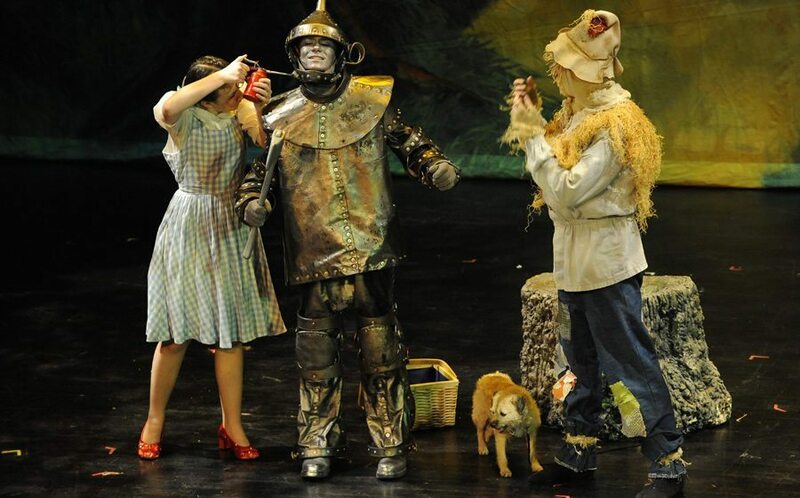 Crows Rollie Fisk, Mitchell Rawlins, Michael Canada, Jr.
Additional guest Munchkins courtesy of Dayton Public Schools. 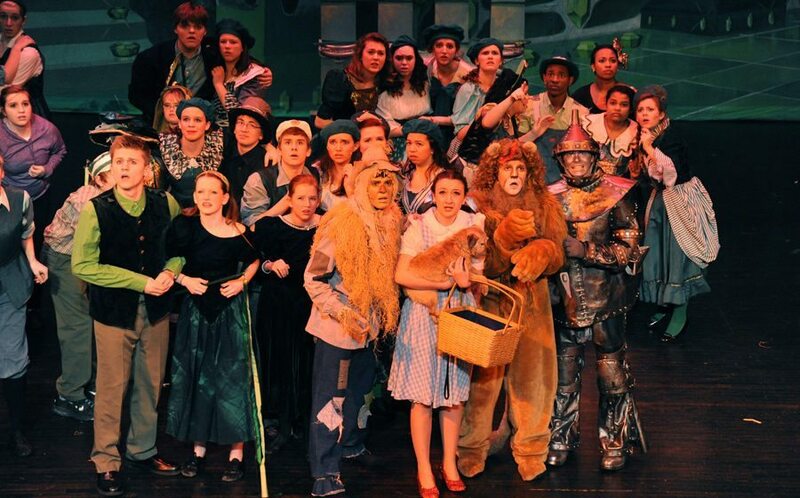 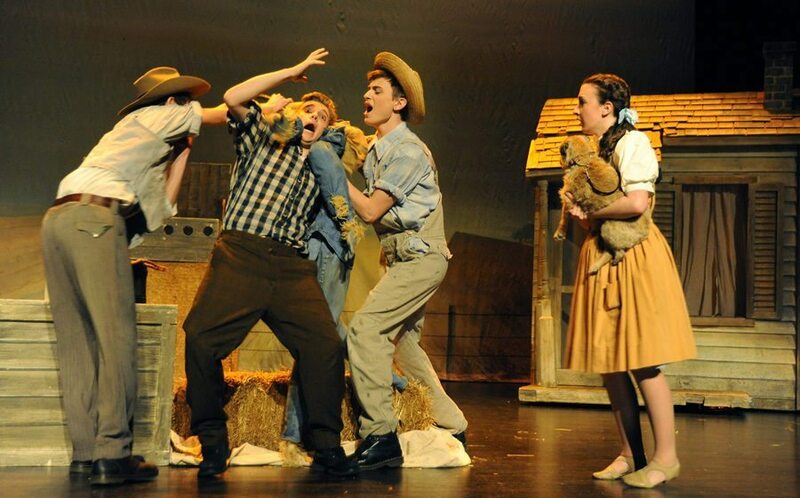 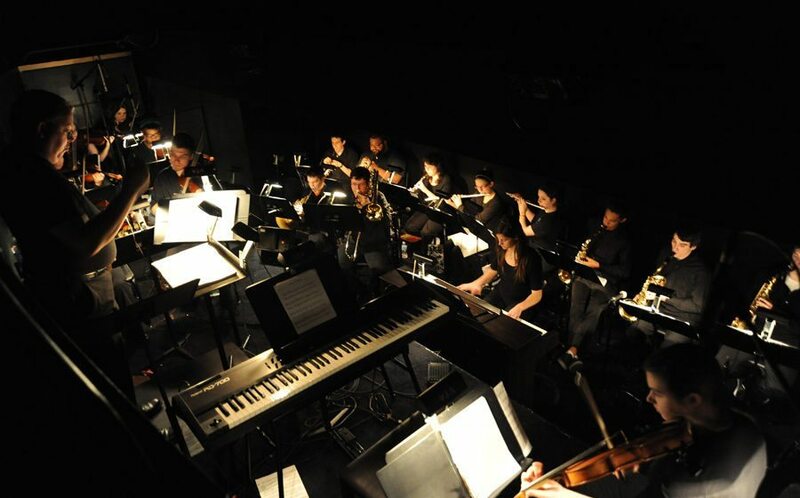 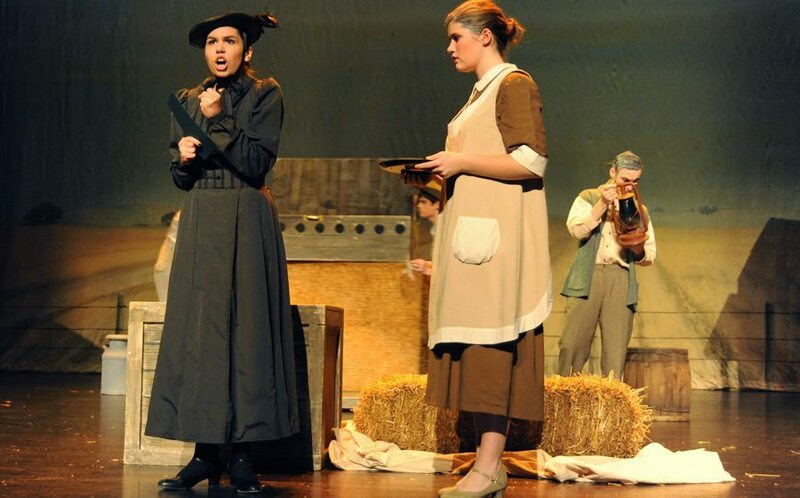 This production was dedicated to David Dusing.